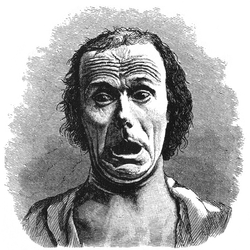 Figure 20 from Charles Darwin's The Expression of the Emotions in Man and Animals (1872). Caption reads "FIG. 20.—Terror, from a photograph by Dr. Duchenne." The distinction between terror and horror was first characterized by the Gothic writer Ann Radcliffe (1764–1823), horror being more related to being shocked or scared (being horrified) at an awful realisation or a deeply unpleasant occurrence, while terror is more related to being anxious or fearful. Radcliffe considered that terror is characterized by "obscurity" or indeterminacy in its treatment of potentially horrible events, something which leads to the sublime. 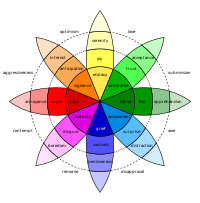 She says in the essay that it "expands the soul and awakens the faculties to a high degree of life". Horror, in contrast, "freezes and nearly annihilates them" with its unambiguous displays of atrocity. She goes on: "I apprehend that neither Shakespeare nor Milton by their fictions, nor Mr Burke by his reasoning, anywhere looked to positive horror as a source of the sublime, though they all agree that terror is a very high one; and where lies the great difference between horror and terror, but in uncertainty and obscurity, that accompany the first, respecting the dreader evil." The difference between Terror and Horror is the difference between awful apprehension and sickening realization: between the smell of death and stumbling against a corpse. Horror is also a genre of film and fiction that relies on horrifying images or situations to tell stories and prompt reactions in their audiences. In these films the moment of horrifying revelation is usually preceded by a terrifying build up, often using the medium of scary music. Freud likened the experience of horror to that of the uncanny. In his wake, Georges Bataille saw horror as akin to ecstasy in its transcendence of the everyday; as opening a way to go beyond rational social consciousness. Julia Kristeva in turn considered horror as evoking experience of the primitive, the infantile, and the demoniacal aspects of unmediated femininity. The paradox of pleasure experienced through horror films/books can be explained partly as stemming from relief from real-life horror in the experience of horror in play, partly as a safe way to return in adult life to the paralysing feelings of infantile helplessness. Helplessness is also a factor in the overwhelming experience of real horror in psychological trauma. Playing at re-experiencing the trauma may be a helpful way of overcoming it. ^ Radcliffe 1826; Varma 1966; Crawford 1986: 101-3; Bruhm 1994: 37; Wright 2007: 35-56. ^ "A quote by Stephen King". www.goodreads.com.